This week we launched a brand new extension store with a refined look, easier checkout process and much more. You'll have to try it out - head over to one of our extensions store products and add it to your cart. Try the check out process. It seamlessly uses ajax to make checkout easy and pain free. We are retiring 29 extensions. I know. We don't like announcements like this but sometimes hard decisions must be made. A critical security vulnerability has been found in the jQuery plugin prettyPhoto which runs Art Pretty Photo in versions less than 2.0.0. Hello Everyone, We wanted to first say thank you to all of our users for their support of Artetics.com exensions. Many of you have emailed about not being able to read the forum threads for certain extensions you may have purchased or downloaded for free in the past. We want to explain the reason for this. Starting with Joomla 3 it was decided that jQuery was going to be included in the core much like mootools was included in the core in past versions of Joomla. 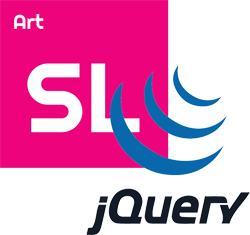 Many hailed this as a great decision (including myself) due to jQuery’s great features and it’s widespread use on some of the biggest websites in the world.